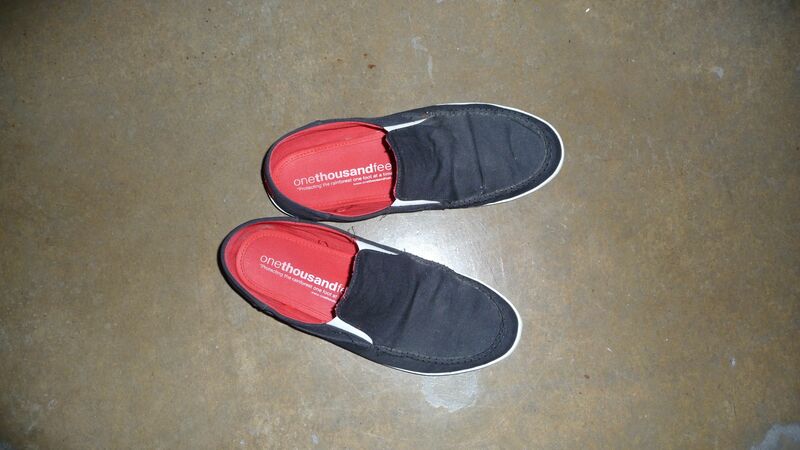 August 5, 2011 – Just a pair of shoes. | What I got rid of today. August 5, 2011 – Just a pair of shoes. Not really a lot to say. Ok – first of the WEEKLY RIDs. Today, just a pair of shoes. Shoes are something I realize it’s easy to accumulate too many of. I know I have too much closet space, and that becomes an excuse to not RID. But enough of that – these shoes need to go. And since today’s my birthday, I’m musing about the “miles I’ve walked” in all my years. So, what better to RID than some shoes on a day like this? Get out there and enjoy the day, all!